Yahoo Together group messaging for Android and iOS released. 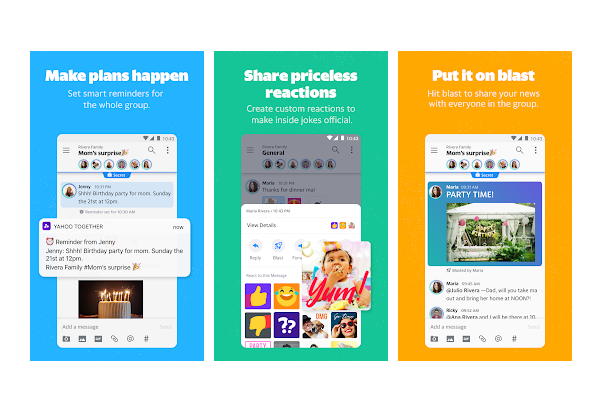 Say hello to Yahoo Together-a new group messaging app that makes it easy to get all your groups on the same page. Fully loaded with features like reminders, custom reactions (and a handy mute button).